It's a daunting task, but not an impossible one. The Germans are beatable as Poland proved last Saturday and here are five other reasons to be positive. When Sebastian Mila bagged Poland’s second goal against Germany on Saturday, it was a double blow for many Ireland fans. Poland had just secured three Group D bonus points – and, more tellingly, the Germans would be looking to rectify that failing as soon as possible. That spells bad news for Ireland. But following Germany’s World Cup heroics, maybe the old adage of the world champions’ hangover is ringing true. The Germans stuttered to a 2-1 win at home to Scotland before their defeat to Poland. While Martin O’Neill’s men have six points from two games, albeit against Georgia and a shockingly bad Gibraltar, the Boys In Green have some sort of momentum, the Germans don’t. It’s just a small chink in their merciless armour, but Poland proved that the Germans are human like the rest of us. The Scotland scare and the wobble in Warsaw will surely have the Germans questioning their self belief, even just a little. 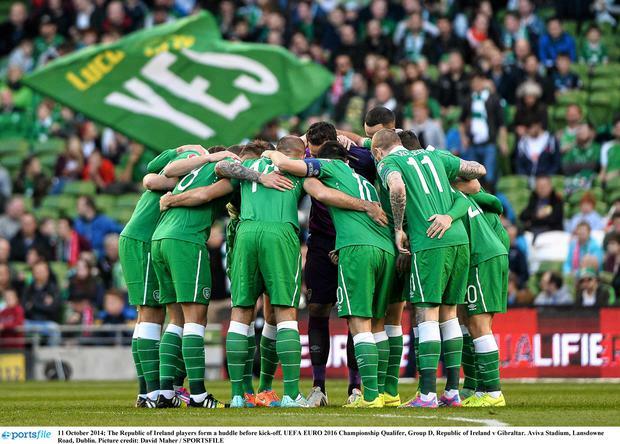 Ireland have nothing to fear and nothing to lose. Germany have the strength in depth to cope with the absence of a few first-team regulars. But the starting 11 that beat Argentina in the World Cup final has been ripped apart. 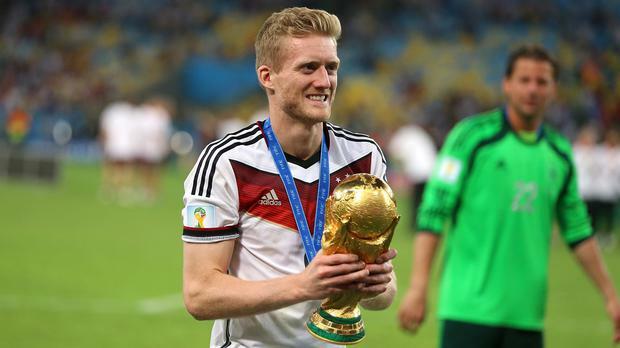 Andre Schurrle is the latest to pull out of their squad where he joins Bastian Schweinsteiger, Marco Reus, Benedikt Hoewedes, Mesut Ozil, Sami Khedira, Marcel Schmelzer and Mario Gomez on the sidelines. Add in the retirement of Philipp Lahm, Per Mertesacker and Miroslav Klose and it’s a very different German side on show in Gelsenkirchen tonight. Here is a the German side that started against Poland last Saturday: Neuer; Rüdiger, Boateng, Hummels, Durm; Kramer , Kroos; Bellarabi, Götze, Schürrle, Müller. They say there is no good time to play the Germans. Surely this is as good as any. At the end of the Giovanni Trapattoni era, there was a feeling that the heart had been ripped out of the dressing room. Ireland’s self-belief was in tatters and there were stories that communication lines between the players and the manager were lost. Stephen Ward alluded to this during the week when he said: "The 6-1 was a low for everyone but I think we will be better prepared this time. "That time we played Germany we didn't show them respect in terms of our preparation and how we went about the game, so this is a new campaign and there is a new spirit, a new way of preparing and doing things. "We will start that early in the week and be ready for Germany. "The language barrier is something that wasn't always easy to deal with under the last manager, it was hard for the manager to get his point across - it wasn't for the lack of trying but sometimes things got lost along the way, so it is easier now in terms of language." It's too early to make a judgement on O'Neill and Roy Keane, but the initial signs at least tell us that the players are in the zone. 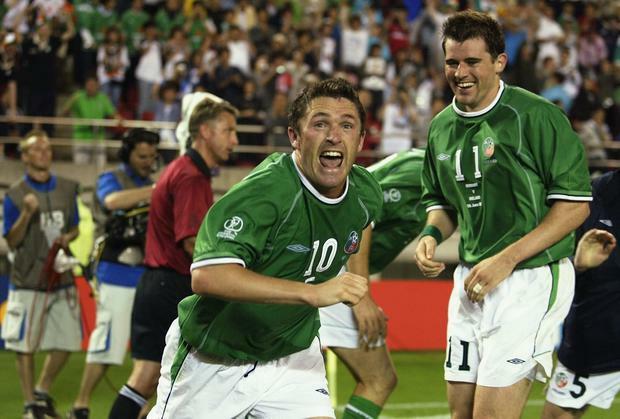 It’s time to rid ourselves of the inferiority complex - Ireland have beaten the best on numerous occasions before. During Steve Staunton’s era, Ireland went to Stuttgart and were unlucky to lose out 1-0 and while the return leg in Croke Park was a damp squib with the Germans already through, Ireland secured a 0-0 draw. Instead of thinking the impossible, we can cast our minds back to France in Paris in 09, Holland 2001, Spain 2002, Germany 2002. Yes, they are all a long time ago but as results have shown us this week in Europe, the smaller nations have the ability to produce top class results. Albania beat Portugal, Iceland beat Holland, Slovakia beat Spain, Poland beat Germany. All this week. If Ireland need any motivation or assurances that they can cause an upset tonight, just look at those results. Is this how Ireland will line up against Germany?